Young tourists read smart phone at roadside in Nanjing, Jiangsu Province China. Photo: Zhang Peng/LightRocket via Getty Images. 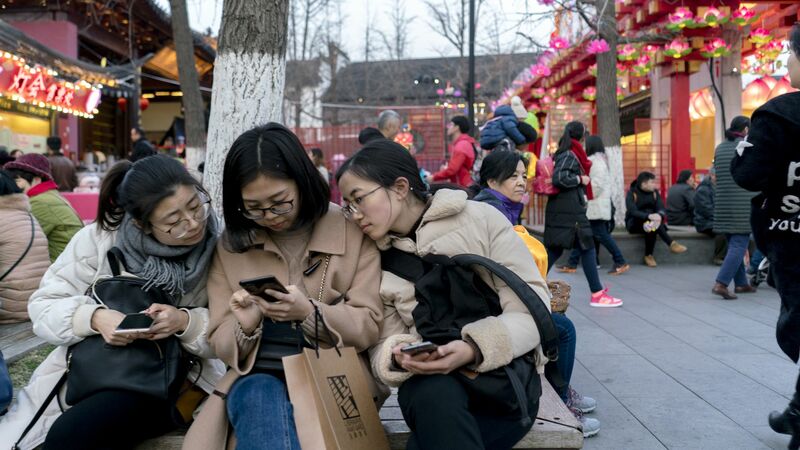 The Chinese government does not think current internet regulations are strong enough — so it's implementing a campaign to rein in "self-media," like blogs and social media accounts. More than 9,800 self-media accounts, referring to subscription-based accounts that are popular on WeChat, Weibo or news portals such as Toutiao, have been punished in the campaign that was launched on Oct. 20, said the Cyberspace Administration of China (CAC).The violations included defaming heroes, tarnishing the nation's image, spreading rumors and information that is sensational, lewd or pornographic, and blackmailing companies with media exposure, said the administration. "Self-media should never be a place outside of judicial reach," said the CAC. China’s cyber regulator will require detailed logs of user activity and personal information from all technology companies and online service providers with “public opinion or social mobilisation capacity” before the month’s end, the latest sign of how far Beijing is willing to go to tighten its control over the domestic internet.The Cyberspace Administration of China laid out the new rules, due to come into effect on November 30, in a notice published on Thursday. The new requirements will apply to services including online forums, blogs, microblogs, chat rooms, news providers, short or streaming video platforms and information-sharing apps, among others.